Photographer: K.Stowell unless otherwise noted. Dark brown face with a white ring around the eye. 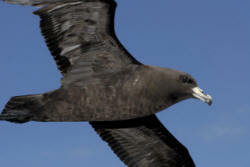 Dark brown body with pale edges to the feather. Bluish black bill and slate grey legs and feet. During the breeding season the males can be seen with bright green patches on their heads and a brighter chestnut breast. 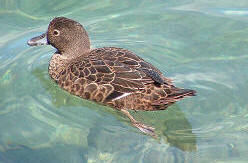 They feed on aquatic or marine invertebrates and are mainly nocturnal feeders. Their preferred habitat is tidal creeks with well-forested banks. Spotted brown, black and white body and wings, underneath striped black and white with a band of chestnut across the breast, behind the head and across the face which also has white stripes. Reddish brown bill, brown feet. 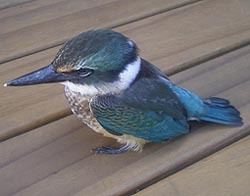 Juvenile has similar colourings to the adult but less distinct. 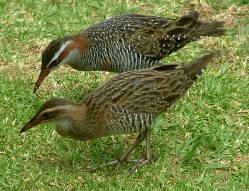 The banded rail are shy birds who are capable of flight but are most likely to walk or run with their short tail flicking up and down. 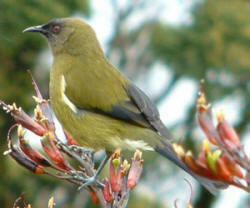 They feed on spiders, worms, snails, beetles and are very territorial. Greenish blue colouring with a lacy collar of white and a prominent white tufts at the throat. The black bill is curved and the feet are grey. Known for their beautiful song the tui is one endemic bird that has thrived despite the introduction of humans to their environment. They are aggressive birds with clearly defined territories who will chase other birds away including larger birds like the kaka. Green flecked with gold and a purple sheen to head, breast and back with white underneath and on the legs. The beak, feet and around the eye are pink. 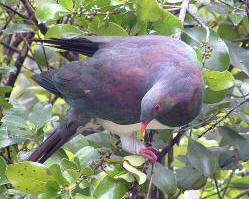 Kereru are a forest bird but can also be found in bushes hunting their favourite food, berries. 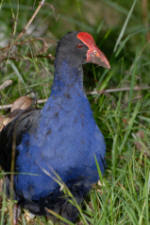 They also eat the leaves and shoots of various bushes and play a key role in the regeneration of native forests, dispersing the seeds of large trees and shrubs which are too large for other birds. 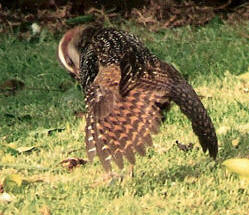 Brown back streaked with dark brown and whitish feather edges. Underside ranges from pale to red. They live only on beaches or sandbars, usually with access to fresh water. 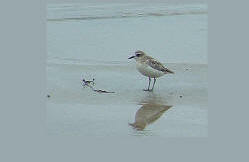 Nests are scraped out of the sand against driftwood or seaweed from early September to the end of February. Dotterels often nest closed to oystercatchers for the added protection against intruders. Coloured olive–green with distinctive white rings around the eyes. 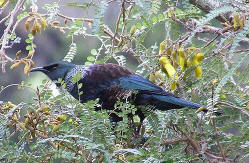 They have a fine tapered bill like the tui and bellbird for drinking nectar. 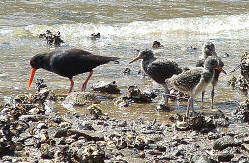 Called variable because it’s coloured is variable, sometimes pied like the Pied Oyster Catcher. 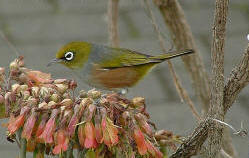 Usually black with a long red bill, red eyes and pink legs. It is larger than a pied oyster catcher and has a heavier bill. 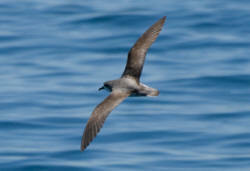 They feed on molluscs, crabs and worms and are very noisy birds. 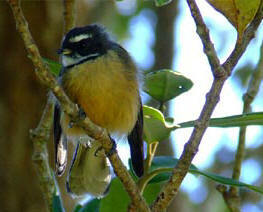 A fairly common bird the fantail has a long black and white fanned tail, a grey head with browny yellow underneath. This insect eating bird is inquisitive and relatively fearless. 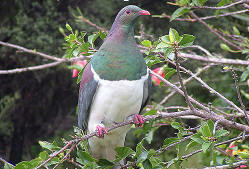 A familiar sight for bush walkers as it flits around the bush. Has distinctive stripes on the face underside and the back is green. This bird lays it’s eggs but doesn’t build a nest or rear its young. When the cuckoo arrives around September it places its eggs in the nest of a grey warbler for them to raise. 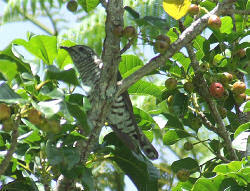 The cuckoo is too large to enter the warblers nest so uses its beak to place the eggs in the nest. Dark grey with long thin legs. 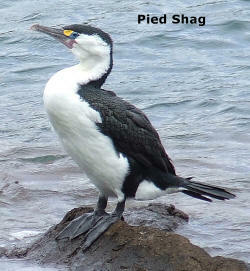 The male is almost black with a pale grey breast whereas the female and juveniles are greyer. 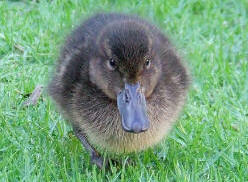 They feed on small insects, worms and grubs. 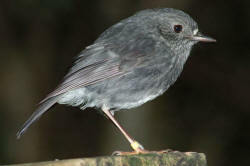 Robins breed in October/November usually building their large, compact nests in a tree, sometimes the kiekie. 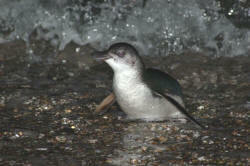 The smallest penguin with blue back and along the sides of the face near to the eye. White underneath. Small and vulnerable they generally come ashore after sunset and their raucous braying can be heard along the shoreline. With webbed feet acting like paddles they are really fast in the water. 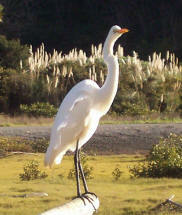 The kotuku has a characteristic double kink in the neck and the upper parts of the legs are sometimes yellow. 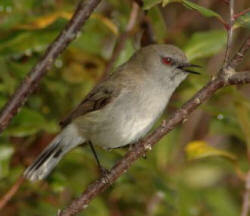 Found near lakes, estuaries and coastal lagoons where they nest in the crowns of tree ferns. They lay 3-5 bluish green eggs.